With old man winter quickly approaching, the Colonial Theater in Pittsfield, Massachusetts was warmed up by the sounds of The Weight. 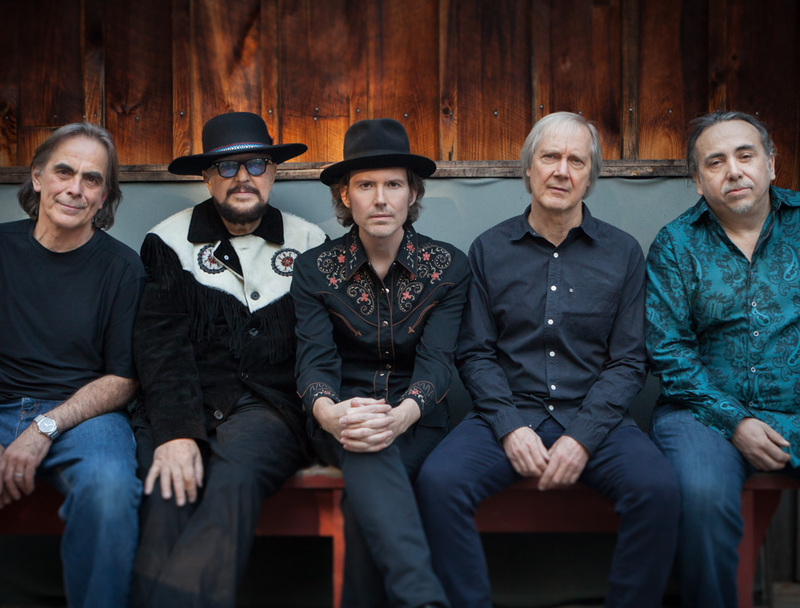 Featuring former members of The Band, Levon Helm Band and Rick Danko Group, the legendary sounds of that fondly remembered band called “The Band” come shining through with this all-star cast of players. Their namesake is after one of their more famous tracks and they represent this classic music most appropriately. I will give the abbreviated rundown of the lineup provided right from the band’s website. Jim Weider is a former member of the legendary group, The Band. From 1985 to 2000, Jim replaced Robbie Robertson as their lead guitarist. Randy Ciarlante was a member of the second incarnation of The Band. Up until Levon's passing, he double-drummed in Levon Helm's Midnight Ramble Band. Brian Mitchell is a current member of Levon Helm's Midnight Ramble Band and is well-known within the circles of the music industry and beyond for his solo career and his high-profile collaborations. Byron Isaacs is a current member of Levon Helm's Midnight Ramble Band, The Dirt Farmer Band and Ollabelle. Marty Grebb played with The Rick Danko Band, The Garth Hudson Band, wrote songs with Richard Manuel, and also wrote for and recorded with Eric Clapton, Leon Russell, Etta James, Marty also wrote songs, and played for The Band appearing on the Jericho CD. Now you have to admit that each member of The Weight has an impressive resume. They would prove throughout the night their fine musical pedigree would be consistent. I would classify their music as eclectic at the very least, an enticing mixture of rock, blues, Americana, roots, honky tonk and ragtime. That is a literal musical stew to be sure. There are also hints of a New Orleans spicy flavor to their sound as well particularly when Brain Mitchell picked up the accordion (otherwise known as the organ from hell). This is one talent laden band. Every member can sing and plays like the polished professionals I anticipated seeing. A highlight of the night was the multitude of instruments Marty Greeb played which included keyboards, guitar and saxophones. They are all very talented however it was not hard to recognize how many different things this man did. The night started at 8pm sharp, as all shows do at the Colonial and there was no warm up band. As we found out very quickly we did not any other lineup to warm our souls. Some songs just speak for themselves and their history carries a heavy responsibility in presenting them as originally intended. I assure you this was accomplished…just like laying down a royal flush on the card table. Some of the songs that really spoke to the audience in attendance were “Across The Great Divide” and Springsteen’s “Atlantic City.” You knew instantly it was Springsteen’s song even though this music is quite different from the catalog of “The Boss.” “Cripple Creek” got some hoots and hollers of course as did “The Weight,” as both are signature tunes. For these ears the highlight of the entire evening was “Life’s A Carnival.” Everything about that song featured this band at their best and it bleeds and sweats The Band. They also mentioned former members of The Band during the course of the night paying respect to their legacy and importance to the music they were playing. It does not get much better than this. Sometimes you have to go see a cover band to enjoy music you loved because the band has long since dissolved or members have passed away. You need not worry, every one of these members is connected with The Band and now they bring this original and unique blend of music to the stage. I am grateful for the opportunity to have witnessed it and would not hesitate to do it again. If you are looking for a great evening of music that will spice up your life and put a smile in your soul make sure you check out The Weight.